The CMS’ PEPPER reports return with extra flavor to help hospitals better monitor potential payment errors. 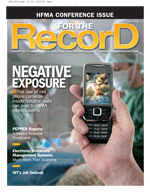 Originally released as a tool to support payment errors for the Centers for Medicare & Medicaid Services’ (CMS) Hospital Payment Monitoring Program, PEPPER—the Program for Evaluating Payment Patterns Electronic Report—has been used by many hospitals as a valuable resource for identifying potential compliance issues within Medicare. And that’s why the CMS recently made the decision to bring back the reports after the original program ended in 2008. With so much national focus on compliance and fraud, industry professionals say healthcare organizations should be reaching out to any and all tools available that will help pinpoint potential problems. As a free tool compiled with specific hospital statistics, PEPPER provides one more opportunity for providers to make sure all their compliance-related t’s are crossed and i’s are dotted. The avenue for getting the latest version of PEPPER to hospitals has taken a different direction and the tool’s focus has been refined, according to industry professionals who say the reports now speak more specifically to improving compliance. Originally distributed to hospitals by their state Medicare quality improvement organization (QIO), the reports will now be distributed to all short- and long-term hospitals by contract company TMF Health Quality Institute. Emphasizing the usefulness of the PEPPER tool, Kimberly Hrehor, MHA, RHIA, FACHE, CHC, project director for TMF, points out that under the new process, hospitals simply need to be aware that the delivery method has changed. “It’s important to note that QIOs are no longer involved in providing these reports or assistance to hospitals with using them,” she says. In a nutshell, PEPPER provides hospital-specific statistics for Medicare severity diagnosis-related groups (MS-DRGs) and discharges that may be at high risk for payment errors. While it is important to note that the report does not identify errors per se, PEPPER can support a hospital’s compliance efforts by pinpointing where the institution is an outlier for the identified risk areas, assisting in spotlighting both potential overpayments and underpayments. Hrehor says the presence of payment errors can be confirmed only through a medical record review. “A hospital can use PEPPER to compare its claims data over time to identify areas of potential concern,” she explains, citing compliance red flags such as significant changes in billing practices, possible overcoding or undercoding, and the increase and decrease in lengths of stay. “We encourage [hospitals] to identify areas where they may be outliers and drill down to those discharges. They can use that information as a guide for where they can focus their compliance activities,” Martin adds. Reports are available for short- and long-term acute care inpatient prospective payment system hospitals. ST PEPPER is specifically for short-term acute care hospitals and includes comparative data for only those facilities. Meanwhile, LT PEPPER is provided for long-term acute care hospitals. • one-day stays for medical MS-DRGs. The target areas in LT PEPPER are septicemia, rehabilitation, short stays, and excisional debridement. According to Hrehor, each version of PEPPER compares hospitals in three comparison groups: Medicare administrative contractor (MAC)/fiscal intermediary (FI) jurisdiction, hospitals in a state within their MAC/FI jurisdiction, and the nation. “These comparisons enable a hospital to determine if it is an outlier, differing from other short- or long-term acute care hospitals,” she says. Outliers are identified based on percentile limits. For ST PEPPER, the upper control limit for all target areas is the MAC/FI jurisdiction 80th percentile, while the LT PEPPER is based on the national 80th percentile. The coding-focused target areas also have a lower control limit, which is the MAC/FI jurisdiction 20th percentile for ST PEPPER and national 20th percentile for LT PEPPER. The report specifically draws attention to findings that are above the upper control limit or below the lower control limit. According to Hrehor, PEPPER is released approximately every quarter, with the next releases expected in August and October via My QualityNet—the only method approved by the CMS for secure communications and healthcare quality data exchange. Each PEPPER contains statistics for the 12 most recent federal fiscal quarters for each target area. The data are presented in tables and graphs that depict a hospital’s target area percentages over time. PEPPER also includes reports on a hospital’s top MS-DRGs for one-day stays and top medical MS-DRGs for one-day stays. “All of the data tables, graphs, and reports in PEPPER were designed to assist hospitals with identifying potential overpayments as well as potential underpayments,” Hrehor says, pointing out that hospitals should be using these tools along with their own quality improvement initiatives. Along with a new format for delivering PEPPER to hospitals, the reports have received a bit of a makeover to be more functional for identifying potential improper payments. “Although the basic functionality of PEPPER remains the same—prioritizing hospital-specific findings and providing guidance on areas in which a hospital may want to focus auditing and monitoring efforts—users will notice several changes,” Hrehor notes. With QIOs no longer involved in the process, hospitals can expect to receive their PEPPER in the form of a Microsoft Excel file through preidentified recipients. According to PEPPERresources.org, the files will be sent to the hospital’s QualityNet administrators and to My QualityNet user accounts with the PEPPER recipient role. Long-term acute care hospitals that do not have My QualityNet accounts may request their report by submitting a note to TMF’s help desk. The Compare Worksheet has also been simplified to provide hospital percentile rankings for the three comparison groups. Previously, the comparisons were complicated and included a weighting indicator that involved the state percentile and number of discharges in the time period. Hrehor agrees, pointing out that the new PEPPER provides more comparison groups so hospitals can better judge their outlier status. “The larger comparison groups of MAC/FI jurisdiction and nation allow hospitals to have a better idea of how different they are from other hospitals, making the outlier status more useful,” she says. PEPPERresources.org provides a list of benefits organizations can garner from, along with ways an institution’s various groups can make use of the data. • Access tables and graphs displaying hospital performance over time compared with other hospitals. • Review hospital-specific data and comparative target-area statistics for the state, jurisdiction, and nation. • Track and trend administrative data statistics to identify changes in billing practices and Medicare reimbursement for Centers for Medicare & Medicaid (CMS) target areas. • Identify areas of potential overpayments and underpayments. • Identify diagnosis-related groups (DRGs) with a high proportion of short-stay outliers (for long-term care hospitals). • Compare hospital length-of-stay data to length-of-stay data for the jurisdiction. • Assess Medicare reimbursement for target areas by tracking and trending over time. • Review hospital-specific statistics for target areas identified by the CMS as being at high risk for payment error. • Help prioritize areas for compliance auditing and monitoring. • Access data tables and graphs displaying hospital performance over time compared with other hospitals. • Identify areas that may be in need of closer study to determine whether an admission was medically necessary and a procedure or treatment was performed in the appropriate setting. • Monitor hospital readmission rates to assist with identifying opportunities for improvement related to quality of care. • Identify target areas where the average length of stay is increasing (or decreasing in the case of long-term care hospitals). • Aid hospital efforts to improve medical record documentation. • Identify potential DRG overcoding and undercoding. • Identify problematic DRGs on which the hospital may want to focus auditing and monitoring. • Access tables and graphs displaying hospital performance over time compared with other hospitals, which can be used for educational training activities. • Prioritize areas for coding compliance auditing and monitoring.